Alberta is the sunniest and richest province in Canada. The region, which hosted the Winter Olympics in 1988, continues to attract many tourists and is made up of beautiful landscapes, from mountains to lakes. This oil-producing area, which is part of Western Canada, has many attractive features. Bordered by the Rocky Mountains on one side and vast prairies on the other, it is a shelter for various species of animal, such as elk, bears and even bison. Those who travel to Alberta will discover five national parks, each as unforgettable as the next. The cities, which are sparsely populated and very traditional, have long retained a natural charm reminiscent of the cowboy era. The two largest cities, Edmonton and Calgary, host the main festivals and events. 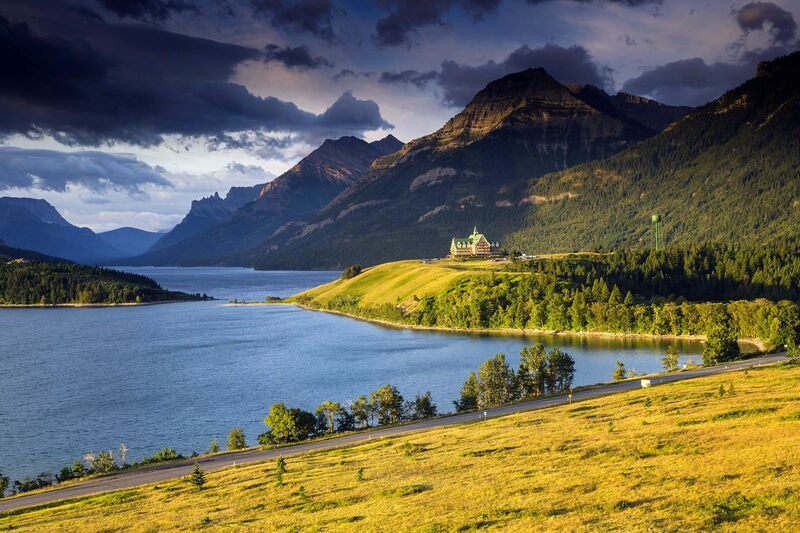 In short, Alberta offers a complete change in scenery for a trip full of adventures and surprises! It is advisable to take warm clothing, especially if you are visiting Alberta during the winter months. If you plan to travel around, it is best to hire a car, and if you want to explore the Rockies, you are advised to hire a guide. Needless to say, the province is very large and it is easy to get lost when hiking or cycling. In terms of things to do, there are many places on the must-see list, such as the provincial capital Edmonton and the large city of Calgary. 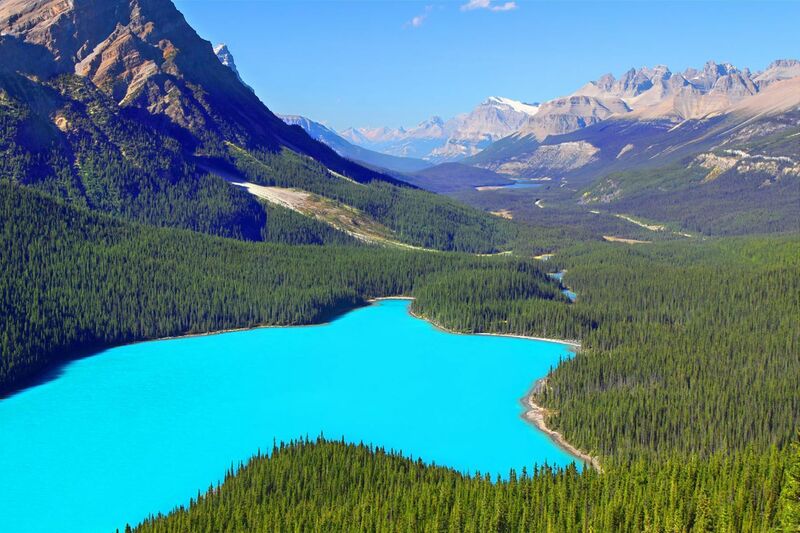 Above all, don't miss Banff National Park and Jasper National Park, which will amaze you! If you go camping, do not leave any food lying around as it attracts bears and other wild animals, which can be dangerous. If you come across one, don't make any sudden movements and don't run away. Finally, we strongly recommend taking a camera and a pair of binoculars so you can see as much as possible! +The opportunity to ski at the heart of the cities during winter and visit national parks wearing snowshoes. +The many lakes and rivers, which are particularly beautiful in summer. +The relaxed way of life in the friendly cities. -The vastness of the area, which takes at least 2 weeks to explore by car. -The particularly harsh climate in winter, which can put off those who are sensitive to the cold. In Alberta you can try many types of barbecued meat, such as rib steaks, and bison terrine, which is served with wild rice pancakes and cranberry sauce. In Western Canada, there are many fish and shellfish-based specialities, not to mention the maple syrup-based dishes. As for drinks, why not treat yourself to a beer, of which Canada is a major producer. They even drink it with oysters! There are many shopping centres in the main cities of Alberta. In Edmonton, the capital, shopaholics will love the West Edmonton Mall, the largest shopping and entertainment centre in the world. On your souvenir list to take back for friends and family should be: maple syrup, lumberjack shirts, and reindeer soft toys, among others.